A partnership among parents, children and faculty fosters each child’s self-esteem, independence, responsibility and sense of belonging to a larger, diverse community. Londonderry’s mission is to help each child reach his or her full potential in a diverse, loving, safe, supportive and fun community. 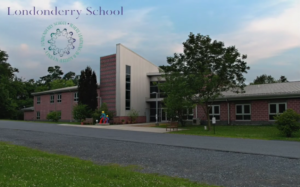 Londonderry provides an important educational alternative for families in the greater Harrisburg area and develops students who are committed to engaging in the community. Through a dynamic academic program, our children learn at their own pace to think logically, critically, and creatively. Parent involvement is an integral part of school life and volunteerism is a part of the family’s contract with the school. Families seek out our school for various reasons: their resident school district is not able to provide for their child’s academic needs or meet their need for individualization; they want a diverse community where children learn to respect differences and build understanding for others; they want their children to have an educational environment which is warm and supportive for the whole family. We also strongly emphasize in our curriculum social and emotional growth, learning conflict resolution, and community consciousness. We help students gain the self-confidence and community commitment to become engaged citizens of the future.